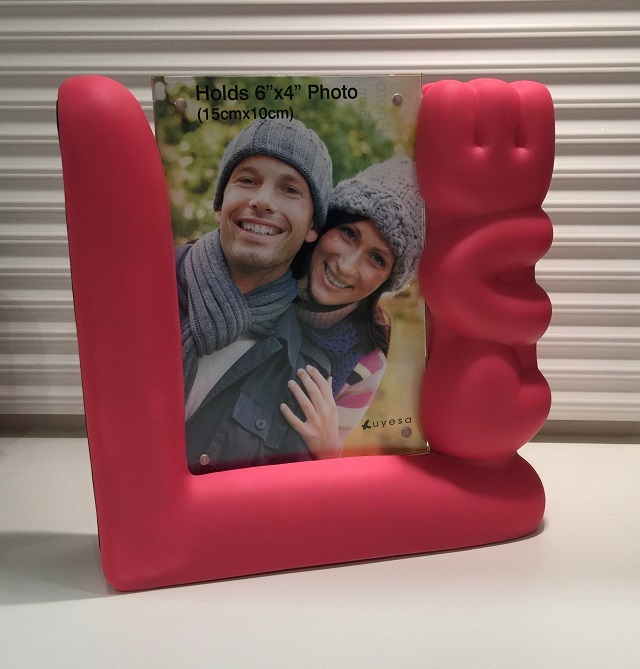 Red LOVE tabletop picture frame. Great Valentine's Day gift idea. Can be set vertically or horizontally. Owing to the weight of the frame it is very stable.The picture is to be placed between two transparent panels and secure them with tiny magnets. Modern design.